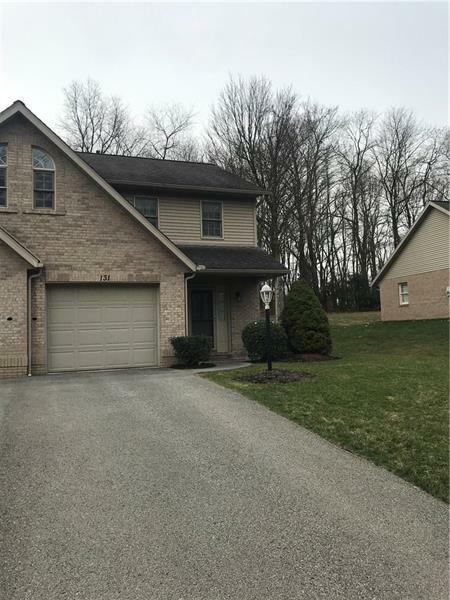 AMAZING Beautifully Maintained 2-Story End Unit Condo Located in Center Twp Windward Complex!!! This Turn-Key home offers Maintenance Free Living in a Quiet Neighborhood. This Home Features... 2 Large Bedrooms (Master Bedroom has 6x6 Walk-In Closet), 2.5 Bathrooms With Ceramic Tile Floor, Spacious Living Room, Gorgeous Kitchen with Granite Counter-tops, Recessed Lighting, and Ceramic Tile Floor, Formal Dining Room with Access to Private Rear Patio, Neutral Decor, 2nd Floor Laundry, and TONS of Additional Storage in Floored Attic, Attached Garage, and Closet Space!!! Rear Yard Bordered by Tree Line for Additional Privacy. Close to Many Amenities including Restaurants, Shopping, Route 8 and Route 422.